Agitation; forecheck; PK; speed; energy; even scoring. 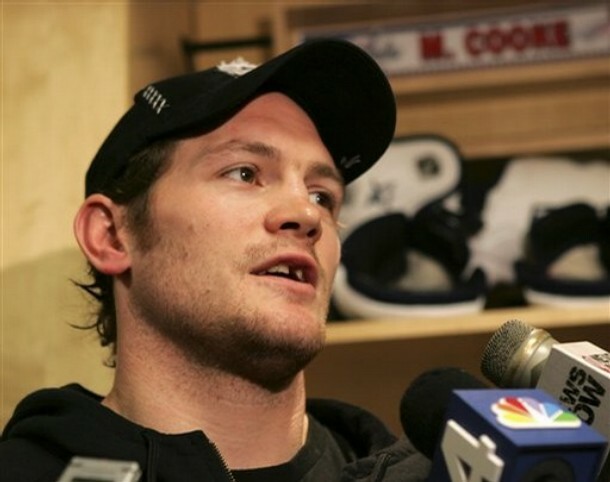 When it comes to filling the “agitator” role in hockey, Cooke epitomizes what it means to be a pest. In the 09-10 season Matt did just about everything right, at least in my eyes. Not only did he bring his usual energy, but also lit up the lamp a career tying 15 times. He proved he’s far more than simply an "annoyance" on the ice and marked his name alongside Staal and Kennedy as arguable the leagues best 3rd line tandem. He also ended up 2nd on the team with a 17 +/- rating. Though having Cookie on your team does unfortunately garnish the onslaught of criticism. Matt has been stamped with the unfortunate label of being a dirty player (cf. Hradek). We’re all aware of the Savard incident and the uproar from fans and media sources. Now I have written my defense in favor of the hit being clean, but you don’t have to listen to me. The very fact that the NHL went and changed the rule is a testament to the legality of Cooke’s hit by current NHL standards at that time. Here is a more elaborate defense from Todd Wyant. Nevertheless, while Matt can certainly irritate you as a fan of the opposite team, there’s no doubt you’d welcome him on your roster. I anticipate Cooke not letting up in any sense come 2010-11. While some have speculated that Cooke’s age could be a concern, he’s a young 32 this season and showing no signs of slowing down. Matt has found a permanent home on the 3rd line and provides a lot more than his stats show. After signing a new deal that will keep him in Pittsburgh for the next 3 years, we can expect our Cookie Monster to be just that. Looking forward to his contribution next year. Cooke has been a perennial $1MM-2MM man his whole career. His game absolutely supports that and he’s worth every penny. Staying with the Pens in 2010-11? I was confident before I heard about the new 3 year deal worth $5.4MM. Shero knows a token player when he sees him. No question about it.